At Workshop, we know all students can become strong, confident writers. 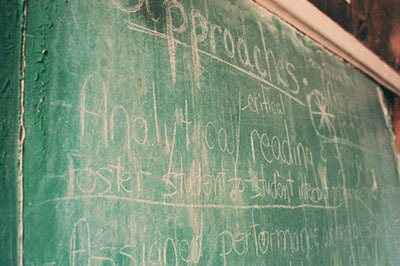 Our customized approach helps all students ask questions, explore ideas and write great essays. Over the years, we’ve met countless students who think of themselves as “bad writers,” for one reason or another. At Workshop, we don’t believe there are “bad writers.” Many students struggle with writing for a simple reason: they’ve been taught to write as though they were English majors. But most students don’t think the way English majors do. Many think in numbers, or in images. Lots of students learn most effectively by talking things through, or by sketching, or by working with their hands. Our innovative writing methods make sense to all kinds of learners. Workshop’s method is different from the way reading and writing is usually taught. Our approach is flexible and student-centered. We focus on visually oriented techniques and on active learning. By taking students away from the tyranny of the keyboard and the blank screen—even in our online sessions!—we help them break out of old, unproductive habits. Our approach is customized for each student. There are no one-size-fits all formulae at Workshop. We know every student can learn to write well with tools and approaches tailored to his or her learning style. Our goal is to help every student find a unique, effective writing process. We don’t believe in rote learning. Our method helps students understand writing not just as a series of assignments to hand in, but as a process for exploring questions and ideas. In each session, our expert tutors focus both on short-term writing-intensive projects and on long-term goals. We show students how to analyze texts and other materials by reading closely, asking good questions, and working effectively with evidence—skills that are critical for college and beyond. The result: great outcomes for students. Our students are excited about getting their ideas on paper. They don’t panic when faced with the blank screen. Our method keeps students on track and in control of the writing process. And as students learn, their essays get stronger and their grades go up. Our tutors are skilled and sensitive in working with students with a wide variety of learning backgrounds and needs. We offer one-on-one and small group sessions, in person and online. We match students with tutors carefully, to ensure that every session is productive for every student. Please contact us to learn more.